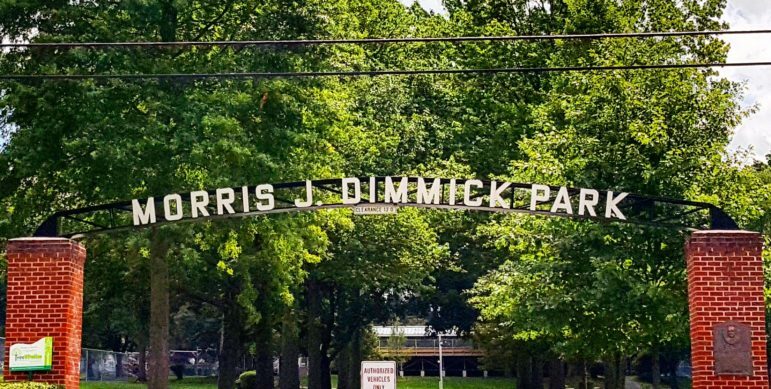 Hellertown Borough Council made a decision Tuesday that will likely affect a number of organizations that hold events annually or occasionally in the borough’s Dimmick Park. After public works director Tom Henshaw broached the issue, council voted unanimously to begin charging organizations that utilize the park for events such as the annual Relay for Life event-related fees to cover the cost of things like garbage clean-up and extra policing. Borough manager Cathy Hartranft said Henshaw was seeking a discussion about a uniform event fee policy, since in the past the borough has only charged some organizations fees. Organizations will also still be responsible for paying pavilion rental fees and providing the borough with a security deposit, if applicable. With the new policy, an hourly rate that will be sufficient to cover the cost of whatever extra staffing is needed will be calculated and passed on to the organization. “We’re just covering costs,” councilman Phil Weber said, adding that taxpayers shouldn’t have to cover costs related to an event they may not even attend. “I think that’s the most fair policy,” said Hartranft. “Our intention is not to make money,” council president Tom Rieger reiterated. He noted that some municipalities do, in fact, profit from event-related fees that do more than simply cover costs. For example, they could charge a $125 hourly fee to cover police costs, he said. The new policy takes effect immediately, and council said no waivers will be granted. For more information about it event organizers or representatives should contact the borough at 610-838-7041. The next Hellertown Borough Council meeting will be held Monday, Feb. 4 at 7 p.m. at Borough Hall, 685 Main St., Hellertown. Meetings are normally held the first and third Monday of each month. They are open to the public, with meeting agendas posted on the borough website beforehand.